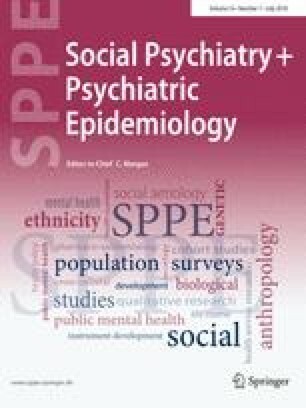 To explore the unintended impact of a targeted case identification (TCI) campaign for first episode psychosis (FEP) on people not experiencing FEP (“non-cases”) with respect to referral patterns and reasons for being a non-case. Sources of referral, reasons for being a non-case, and subsequent referral destinations of non-cases were examined before and after a TCI. Following the TCI, a greater proportion of non-cases lived outside the study catchment area. A smaller proportion was referred by the parent hospital’s emergency room or had a substance-induced psychosis. TCIs for FEP may have unintended effects, with implications for early case identification and early intervention services. Ashok Malla and Jai L. Shah are contributed equally to this study. Gerald Jordan has received funds to support his graduate studies from the Department of Psychiatry at McGill University; Fonds de recherche du Québec-Santé; and the Canadian Institutes of Health Research. Miriam Kinkaid has received funds to support her graduate work from the Canadian Institutes of Health Research. Srividya Iyer is funded by Fonds de recherche du Québec-Santé and the Canadian Institutes of Health Research. Karen Goldberg has no interest to declare. Ridha Joober has received funds from Fonds de recherche du Québec-Santé; and the Canadian Institutes of Health Research. He sits on the advisory boards and speakers’ bureaus of Pfizer Canada and Janssen Ortho Canada; he has received grant funding from them and from AstraZeneca. He has received honoraria from Janssen Ortho Canada for CME presentations and royalties for Henry Stewart talks. Ashok Malla has received funds from Fonds de recherche du Québec-Santé; The National Institutes of Health Research; Grand Challenges Canada; and the Canadian Institutes of Health Research. He is also funded through the Canada Research Chair Program and has received research funding, unrelated to the present study, from BMS, Pfizer, Otsuka and Lundbeck as well as honoraria related CME lectures and advisory board participation from BMS, Otsuka, Sunnovian, Lundbeck and Pfizer. Jai Shah has received funding from Fonds de recherche du Québec-Santé.